BRACEBRIDGE/HUNTSVILLE — Muskoka’s newest musical theatre collaboration is holding open auditions for its winter presentation of Mamma Mia! The hit musical theatre Mamma Mia! is coming to Muskoka this winter in a new collaboration between the Bracebridge Rotary Club and the Huntsville Festival of the Arts. is calling all triple threat actors for the smash hit musical based on the songs of Swedish super-group ABBA, on Oct. 13-14. Auditions will be held on Oct. in Bracebridge from 10 a.m. to 4 p.m. at the Rene Caisse Theatre (100 Clearbrook Trail); and on Oct. 14 in Huntsville from noon to 5 p.m. at the Algonquin Theatre (37 Main St. East). Auditions will consist of a singing and dance call, as well as a cold read from the script and interview with the director and producers. Applicants are asked to show up at least 15 minutes before their scheduled audition times. There are several lead roles as well as many parts in the chorus. All positions involve a great deal of singing and dancing. To sign up, those interested in being cast should go to https://www.surveymonkey.com/r/BDQRLFY and book an appointment as soon as possible. The deadline for booking is October 8th. Those who cannot attend the scheduled interview times or have difficulty with the online booking process, should email muskoka.onstage@gmail.com. Walk-ins will be accommodated where possible, but they may have to wait while those who have signed up in advance are processed. Rehearsals for the production will begin in November and will be held three times a week. The musical will run for seven performances in Bracebridge from February 21-March 3, 2019 at the Rene Caisse Theatre; and for seven performances in Huntsville from March 22-31, 2019 at the Algonquin Theatre. The production features a seasoned creative team led by director Wayne Noble, musical director Neil Barlow, choral director Fran Harvey and choreographer Sheri Nichols. Muskoka OnStage is the new collaboration between the Rotary Club of Bracebridge and the Huntsville Festival of the Arts. 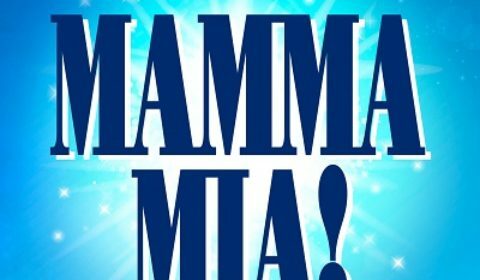 It announced in May of this year that its first offering would be a production of the musical Mamma Mia! in the Spring of 2019.